The final powerful issue of Kieron Gillen's Crossed exploration of ancient history comes to a shocking conclusion! The truth of the Homo Tortor is revealed and humanity's brush with near extinction in the past is explained. But learning from the mistakes of the past may not save the present. A last-ditch effort goes horribly wrong for the hopeful college student who has tracked down one potential explanation for the Crossed outbreak. 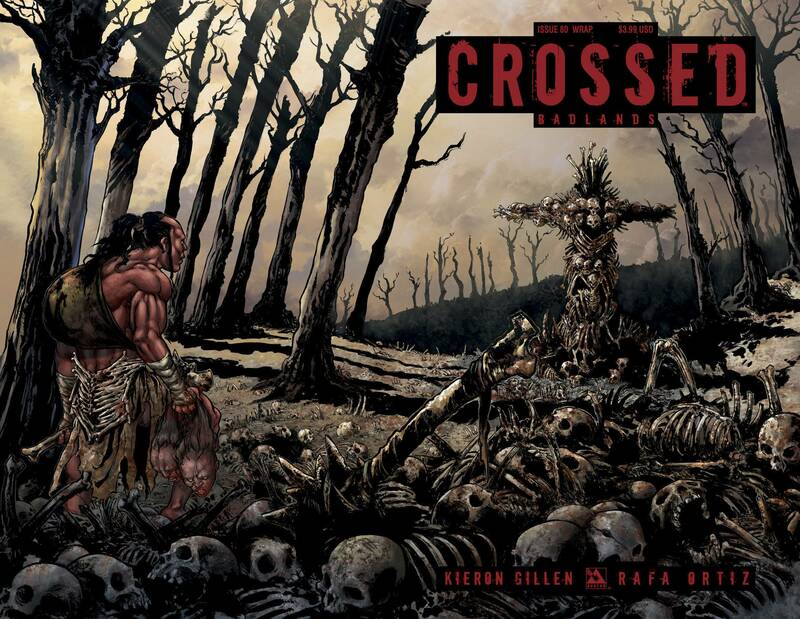 Knowledge is power, unless you are facing the horrors of the Crossed. Available with Regular, Wraparound, Torture, Megafauna, and Red Crossed Incentive Covers by Fernando Heinz. Art Deco cover by Michael DiPascale.